Why owning a small house and not being exposed to the risk of personal bankruptcy is an advantage. The step-by-step process from foundation to the roof and connecting your house to public services. Understanding the global construction material supply market and choosing the most suitable material. 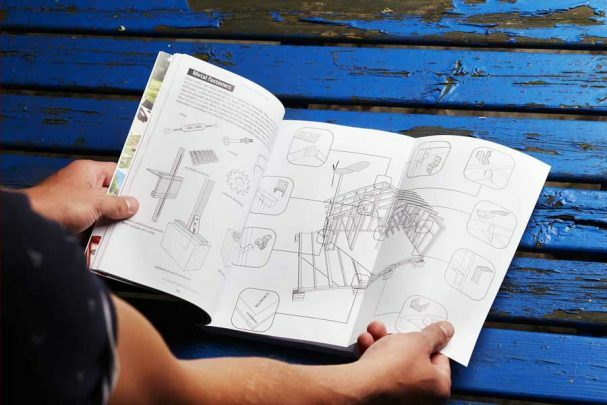 Detailed illustrations and photographs for easily navigating the individua construction stages. How to fix basic failures on your building. 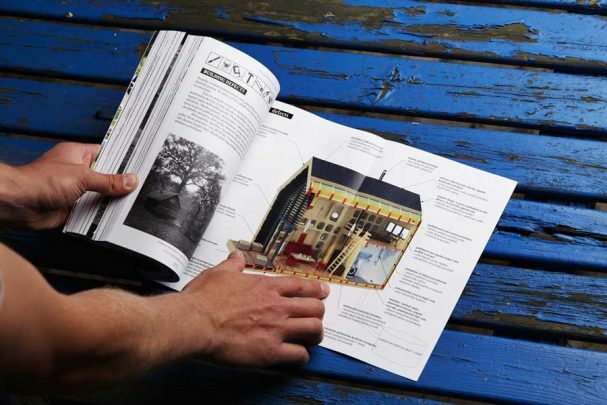 How to understand the basic tiny house typology. Joshua, I understand that the book does not contain the plans for the “France,” that the technique is only mentioned in the book. Does the mention give enough info for us to be able to build the house? if not, how do we figure it out or obtain plans? Re: the France House–There is a lot of misunderstanding about the France house featured on the “Tiny House Listings” page. People think you can buy the pre-made panels & put them together. The way I’m reading it, these houses are not being manufactured, we would build our own using plans that might be purchased. The materials would cost $1200. It could not be built in 3 hours–the panels would each have to be constructed first, and once constructed, could be put together into the tiny house in 3 hours. There is no bathroom that I can see, but since this is modular, what would prevent someone from modifying the plans to add one more module beside the kitchen to serve as the bathroom? Prorating the cost, it should only cost another $400. The house is already insulated because it is made from SIP’s or structural insulated panels, so it doesn’t need any more insulation. 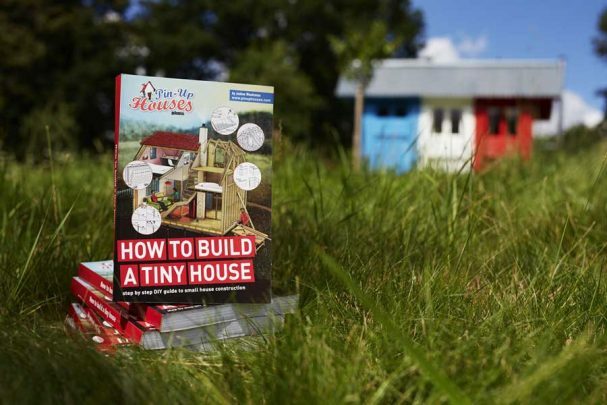 Even though there is a link on the “Tiny House Listings” page to a tiny-house-building book written by the person who created this tiny, he comments that the plans to this particular tiny are not in that book. So my question is, how do we get the plans for this particular tiny house?? I just mention this technique on a few pages. This book is focused on system 2×4 mainly.